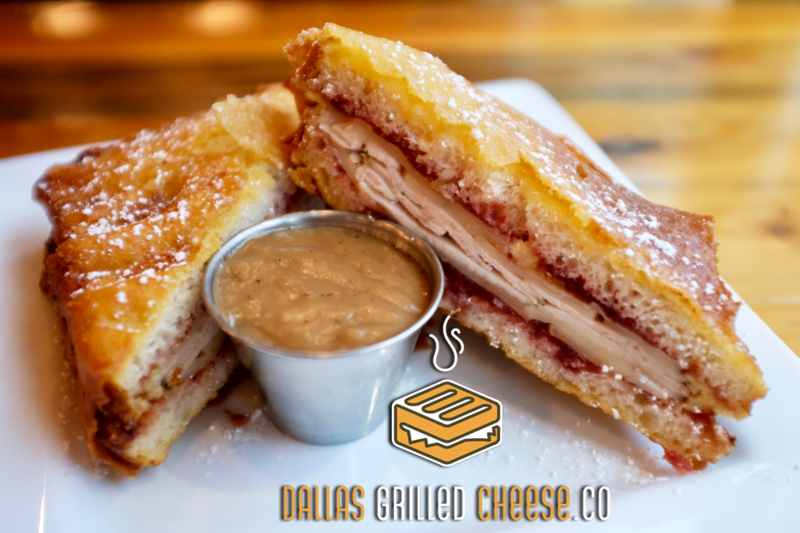 It's Turkey Time, and our Thanksgiving Leftovers Grilled Cheese is back, along with its sweet-savory sister, the Cranberry Monte Cristo! The Leftovers Grilled Cheese has Swiss & White Cheddar cheeses, sliced turkey, cranberry sauce, stuffing and mashed potatoes, all on grilled Sourdough and served with a side of gravy! The Cranberry Cristo is loaded with Swiss, sliced turkey and cranberry sauce, then fried and dusted with powdered sugar. It's served with a side of gravy, too! They’re both available at our locations inside the Bishop Arts District and Mockingbird Station and they’ll both be here through the end of November. We know you love them, so we brought ‘em back! Come in and eat one today!